A Bar, A Date And A Datsun Lead To Years Of Fun When Kelly Krieg first noticed Michael Sigman back in 1983, she thought he was an alcoholic. But, that first impression didn't stop Kelly from accepting a date with him — he did speak in complete sentences after all. This year the couple will celebrate their 28th wedding anniversary. 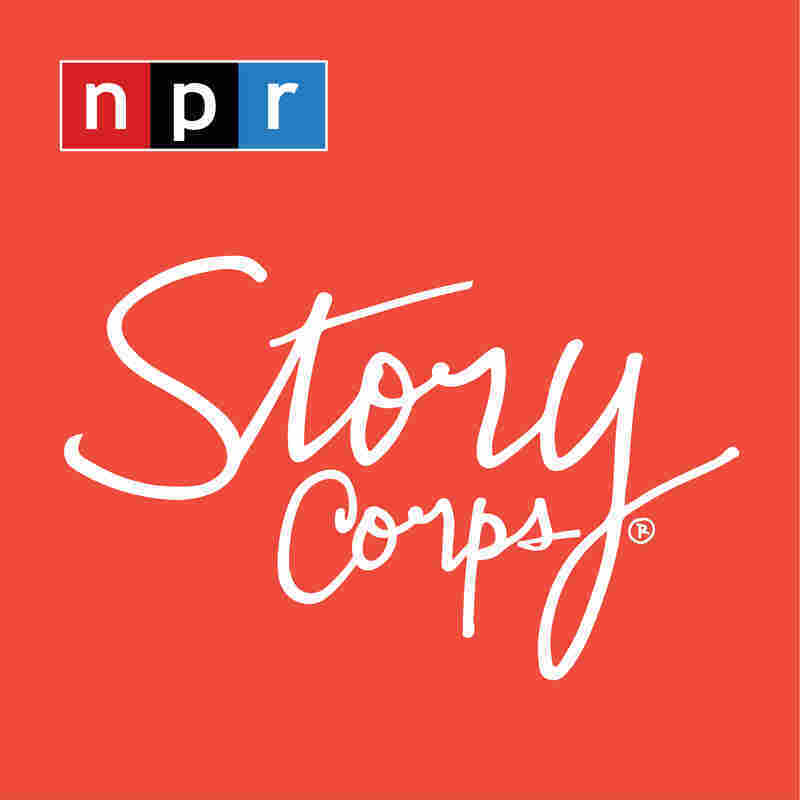 Kelly Krieg-Sigman and Michael Sigman visited StoryCorps in La Crosse, Wis. Soon after Kelly Krieg moved to Manitowoc, Wis., Michael Sigman caught her eye in a local tavern called The Sting. 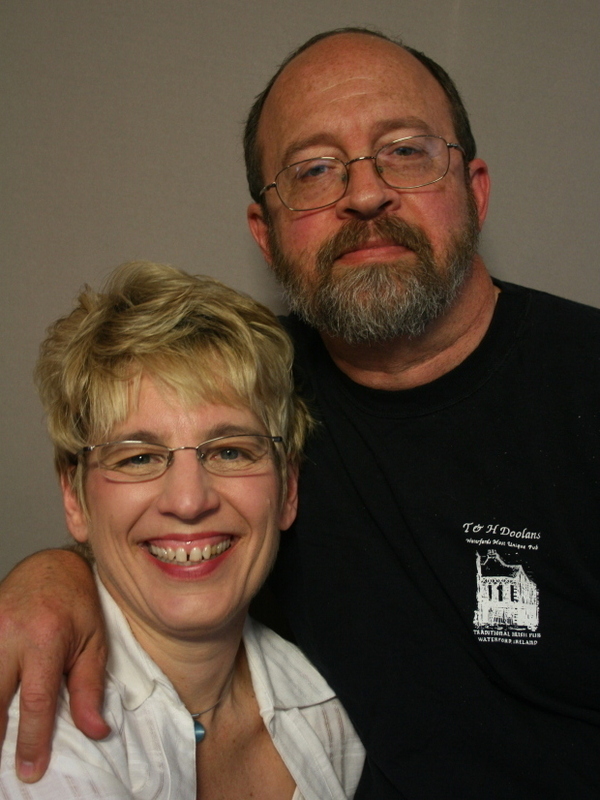 "I thought you were an alcoholic," she tells Michael during a recent visit to StoryCorps in La Crosse, Wis.
"Every night, I saw you sitting at the end of the bar, hunched over what appeared to be a cup of coffee. I thought, first of all, something's going into that coffee besides coffee," Kelly says. "And at exactly seven minutes to 11, you headed out the door as fast as you were able. And I thought, OK, you've got a bar stool somewhere else waiting for you at 11 o'clock." But Michael wasn't an alcoholic, he worked overnight at a radio station. One night he heard Kelly's voice and decided to ask her for a date. "I thought, 'I'm desperate for a date to go to the Milwaukee Symphony Orchestra Concert.' I'd run through everybody else I know and they all turned me down," he tells Kelly. "And you ended up being number 58." Kelly figured it was a risk, but Michael spoke in complete sentences and he wasn't that much bigger than her, so she figured she could take him if she had to. When Michael picked her up for the date, he wore a three-piece suit. His chariot for the night was a red Datsun station wagon with one yellow door. "I remember thinking, 'How much money do I have in my wallet? What happens if he bails on this dinner, can I cover it?'" Kelly says. And from there, the two became a couple. When Michael took her to dinner at his parents' house, his dad told him, "I like this one, son. She can at least read." His sister and brother liked her, too. But, it was his mother who proposed to Kelly, because "she knew the priorities." "Yeah. And, I didn't. I had no clue," Michael says. "And you frequently look at me and say, 'Why do you stay married to me?' And I've never been able to come up with a good answer for that. I mean, this is still going strong because we're enjoying it." "I would say that that's the best part," Kelly says. "Yeah. You make me laugh. That's the best part about being married to you." The couple will celebrate their 28th wedding anniversary this year. Audio produced for Morning Edition by Nadia Reiman. Recorded in partnership with WLSU.